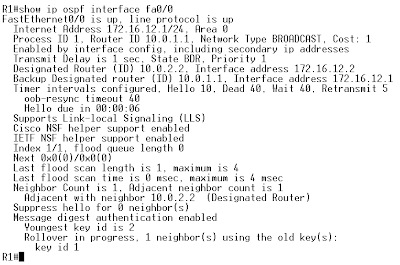 Configure new password between R1 and R2 on their Fa0/0 link. 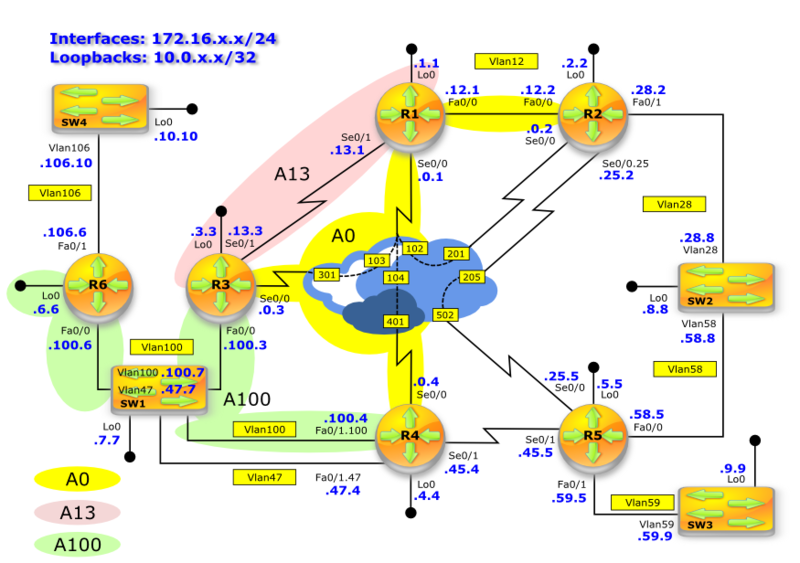 Use the 'CISCO123' as the password and ensure that R1 and R2 do not lose FULL state. 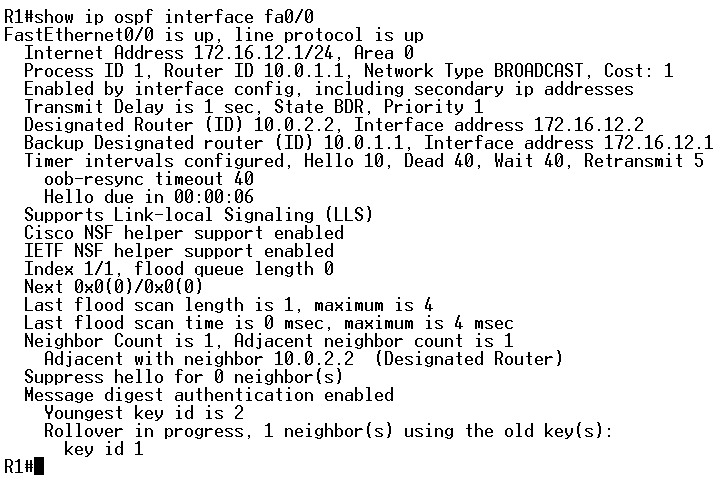 What is OSPF password rollover? 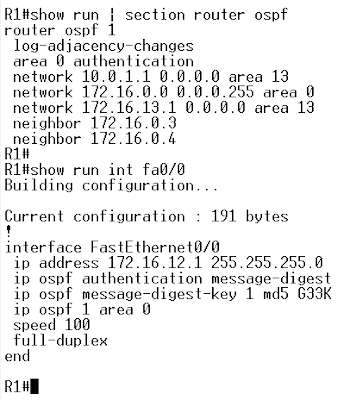 R1 is configured to run Simple Password Authentication with R3 and R4 in the routing context like presented in pic. 2. 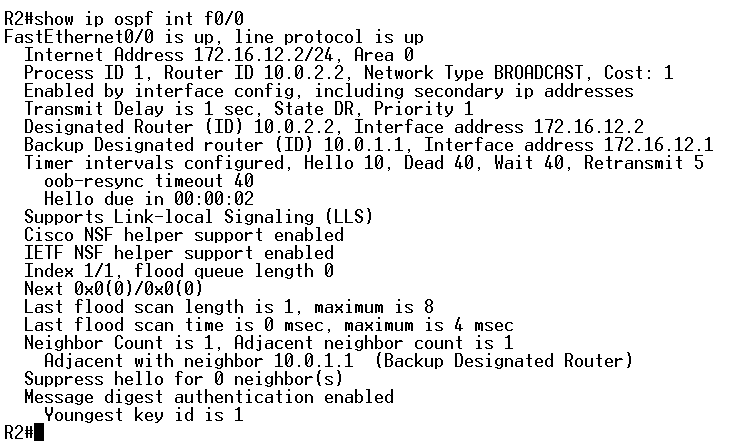 Configure new password between R1 and R2 on their Fa0/0 link. Use the 'CISCO123' as the password and ensure that R1 and R2 do not lose FULL state. If you add an extra key+password pair, while leaving the old one still configured, OSPF neighbor relationship stays intact. Try to remove the key and then add the new key on both R1 and R2. Make sure you do not do this too fast (you should give it at least 40 seconds - dead time to see what happens).